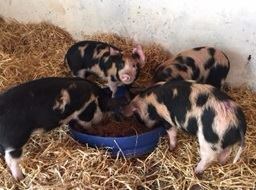 We’ve recently seen the arrival of four eight-week-old Oxford Sandy and Black gilt (female) piglets. Our own Middle White sows, Flossy and Dotty, haven’t yet blessed us with piglets, but we were lucky enough to be contacted by Bill Lambert, manager of St Werburghs City Farm, who bred these little beauties. The girls are very friendly and are settling in well. 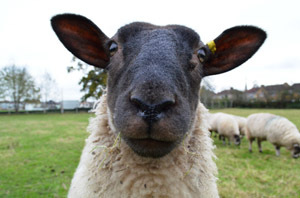 They’ve been quite an attraction for everyone at Elm Tree Farm, and we expect them to be really popular at our fast-approaching Open Farm Sunday on 5 June. For more event details, keep an eye on the website, or find us on Facebook.